Roger found Chadwick’s after boxing left him with a torn rotator cuff. Roger came to Chadwick’s with the goal of gaining muscle. Roger started at a weight of 168 pounds after his surgery, and today he weighs a healthy 190 pounds due to huge gains in muscle mass. He has also gained a total of 18.9 inches in his combined body circumference measurements. He’s gained muscle in all areas of his body and his body fat percentage has dropped from 14% to 11.5% in the past two months. We are so proud of Roger and grateful that he is part of the Chadwick’s family. Outside of Chadwick’s, Roger is an accomplished painter, teacher, and mentor. You can see Roger’s artwork at Rogerdalebrown.com. I am a professional artist and much of the information for my landscape paintings is gathered from painting on location. That involves hiking and carrying my paint gear. I also give lectures, teach and have shows across the country. Its a busy life style..I love what I do and the process I use to paint, but after a heart attack and other health problems I found my lifestyle and quality of life slowly slipping away. 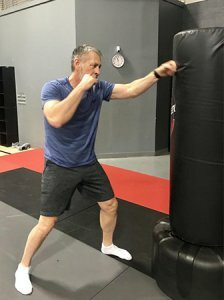 After a few months of training with Jared, I decided to have my shoulder repaired. I came back to Chadwick’s March 30th 2017, and Jared slowly rehabbed me back to full strength. November of 2017 is when I felt totally healed from the operation and really went to work. 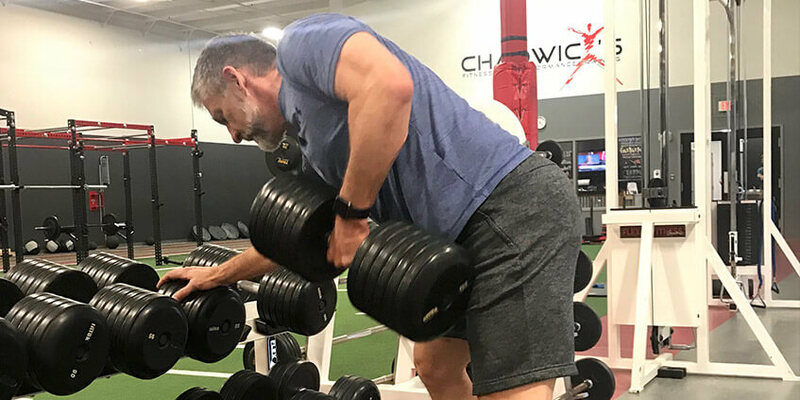 I joined Chadwick’s with the goal of getting into the best shape I could possibly be at my age…55 (this April 18th). What I have learned is that there are no limits. Every workout is a challenge to better yourself. One huge benefit I did not expect is to be surrounded by such a caring and wonderful group of trainers. They are all inspiring in their own way and they create a great environment in which to train. Learning to train and stay healthy has been such a intriguing lifestyle change and a wonderful new addition to my life. Be Your Best. Train With the Best. Are you interested in a membership plan that allows you to workout on your own? If yes, fill in the following information and we will get in touch with you. Would you like to learn more about our General Membership Plus+ option in which our training staff will write and teach you a custom workout based on your goals and experience level? 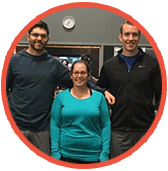 Lauren has been personal training at 6:00 am 3 days per week with Chadwick’s trainers, Jared and Zack. She has lost 37 pounds (an average of 1.5 pound per week) and 7% body fat in her first six months of training! We are so proud of the progress that Lauren has made so far! She is truly an example of what it means to take small, systematic steps to change your lifestyle for the better.